In the fourth quarter of 2013, we experienced one of the most underwhelming console launches of all time. The sales were still good, but many fans and critics weren’t impressed by what was on display at E3. While the PlayStation 4 had many flaws of its own, it was the Xbox One that received the majority of spite. In a last-ditch effort to reverse the internal DRM policies due to a severe outlash from fans, the Xbox One fought to win the console war. Even though the Xbox 360 console was able to take down the PS3 years ago, this time it was Sony that prevailed. Promoting its many technical attributes, some more impressive than others, the Xbox One was able to match the PlayStation 4’s first-day sales. History tells us that on several occasions a single franchise can make or break a new console. The Nintendo and Super Nintendo Consoles gave us Mario. Sega Genesis brought us Sonic the Hedgehog, PlayStation 1 brought us Spyro and Crash Bandicoot. What about Xbox? Well that one is easy; it was Master Chief. You could argue that “Halo: Combat Evolved” single-handedly saved the original Xbox. Without “Combat Evolved” would there have been a reason to purchase the original Xbox console over the PlayStation 2 or the GameCube? Xbox 360 won the last console war, yes it is arguable, but those arguing the other side don’t have much evidence to backup that claim. The Play Station 3 was overpriced, and didn’t have many exclusive titles (at first). The Xbox 360 released “Halo 2” which was widely considered even better than its predecessor. Eventually Sony’s relationship with Naughty Dog started giving gamers a reason to purchase the console, knocking it out of the park with their “Uncharted” series and, more recently, “The Last of Us” (which they will be expanding on for the PlayStation 4). Why buy an Xbox One? Seriously. Why go out to your local Gamestop and buy this console? At this point the Xbox One has nothing that the Play Station 4 doesn’t have, and the Play Station 4 is cheaper and, again arguably, better. 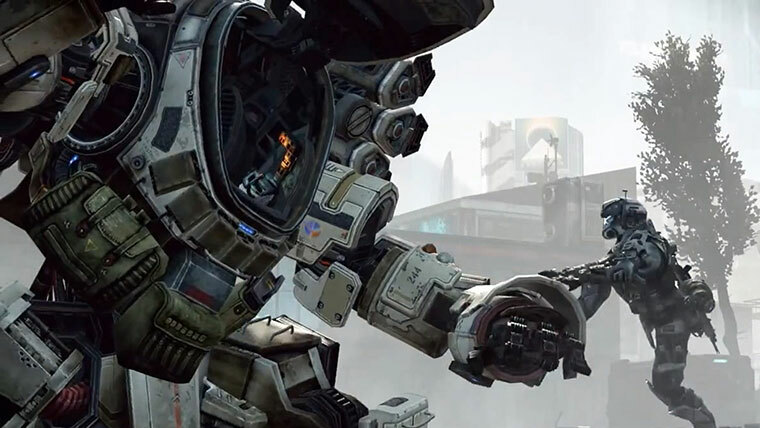 Right now the reason is the potentially successful “Titanfall.” Being released next month. 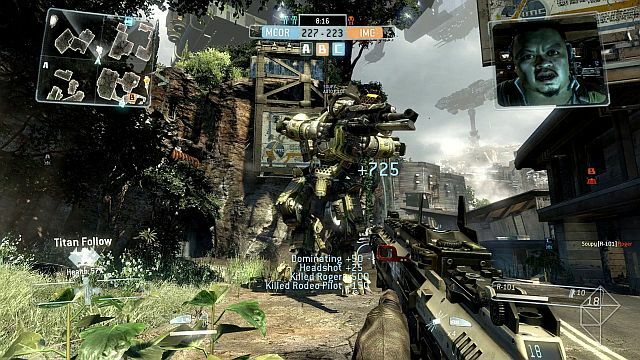 There weren’t many impressive titles on display at 2013’s E3, but “Titanfall” stood out with similar mechanics to the “Halo” franchise. Immediately people started predicting that this would be the game to make people go out and buy an Xbox One. Early Alpha testers have been giving positive word on the game, but there are still no clear reviews. It sounds like it’s good, but how good? The beta version comes out on February 17th. 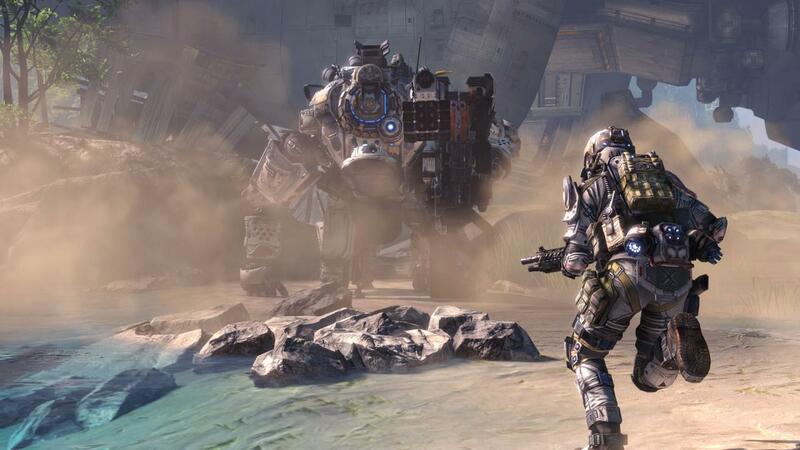 What if “Titanfall” is good, but not great? It has to be pristine in order to give people a reason to pay $500 for a console. Yes, people use these consoles for more than just gaming now: Netflix, Hulu, Skype etc., but many of these apps are built-in to people’s televisions. Microsoft needs to produce a strong exclusive, it is potentially “Titanfall,” but only if “Titanfall” is more than an 8 or 9, it has to be a 10. The “Halo” franchise has been running itself into the ground bi-annually. None of the games are particularly bad, but people are getting tired, just like they are with “Call of Duty,” repeating success works for a long time, but only so long. Nintendo would argue against that, but just look at the boat they’re in. If “Titanfall” isn’t the exclusive Microsoft is looking for, then “Halo 5” could easily step in and continue being a prime reason to purchase the console. But they can’t keep falling back on this franchise, they need to move on. “Halo 2 Anniversary” has been a rumor flowing around company water coolers, it could help save it as well, but there is still no official word on this game even happening. 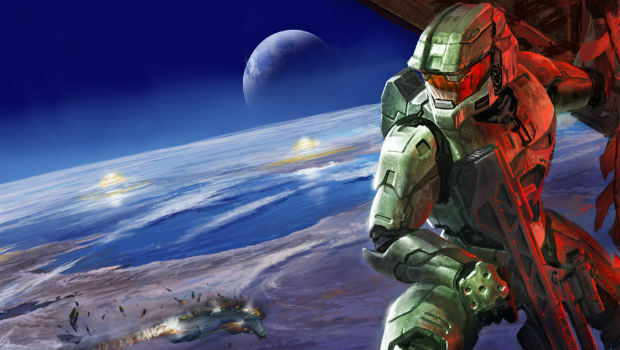 “Halo 5” is currently slated for the end of this year, but the clock is ticking. It is easily possible that it is pushed until 2015. It is still possible that an unforeseen underdog exclusive could rise to the occasion too. Only time will tell. The most anticipated game of 2014 is “Destiny.” Well-received multi-platform games can financially benefit both the Xbox One and the PlayStation 4. But “Destiny” isn’t a clear cut reason to buy a Xbox One over a Play Station 4. I didn’t know xbox one needed saving as it’s sold millions of consoles and is the second best console launch in history behind ps4. But nice try of an article trying to get fanboys riled up to generate hits to ur site lol, gotta do whatever it takes eh? Both the PS4 and XB1 have had incredibly good launch sales, Titanfall will give XB1 a temporary edge in sales though. Yeah true but one has to wonder if the launch of the PS4 in Japan will keep the gap the same size. Oh man they didn’t mention it in this article and I totally forgot that this game is also available for 360 and errr PC…..that will hurt the chances of titanfall boosting xbox one sales as people don’t “have” to pick on up just for this game so how big of an edge? I guess that’s the million dollar question. That is true. It’s not entirely an “exclusive” to the Xbox One. Still seems like “Titanfall” will give the Xbox One a boost in sales, but I don’t know how long that will last. “Halo 5” still seems like the consoles primary knight in shining armor. I think that is arguable and subjective hoss. TitanFail is just a small step up from CoD. Add in mechs and there’s nothing else new. Worse of all it’s going to be played on a weak XBone which limits the game to 720p and only 6v6 matches. Terrible choice on EA’s part but what else do you expect from a company being voted the Worst in US? So you’ve played it and made that decision? It’s already at 792p and could be higher and why say ‘only’ 6v6? More isn’t always better. Surely the playability balance is most important. It looks like a fun game that I’ll probably get but this childish ‘Xbone’ this and ‘weak’ that needs to stop. If you’re a gamer why hate on something that gives you the very thing you enjoy doing? If you prefer the PS4 so be it but that doesn’t mean you have to slag off every other console. I suspect your comment would read very differently if this was a PS4 exclusive. Just enjoy the games and grow up a bit. This game caters to the noobs. I’ve seen the footage and it requires no skill to play. I think you’ll find this game in the toilet next to the bargain bin at the local video game store. I can see it not being a very skill-based game like you said, I mean it could be, I guess we’ll see. Don’t see it exactly hitting the MLG circuit though. The Xbox One is getting flak for “resolution issues” and other things like updates, but the games and the console should be judged 12 months down the line, not three (3) months in, personally. As for TitanFall, it will be a big game that will bolster Microsoft’s game library, but it doesn’t need to save the Xbox One, Microsoft’s console will do just fine, lesser than it’s competitor, but turning a profit and that’s great. I bought mine day one, and I have no regrets, the Xbox 360 turned out great after the RROD, so will the Xbox One. TitanFall is the next Halo phenomenon! It will shift well over 10 million copies at launch. It’s something new, which is great. “Call of Duty” and “Halo” games will continue to make money for now, but it’s good that companies are still out there producing games that aren’t sequels, remakes, or reboots. Even if “Titanfall” borrows a lot of elements from other successful games, it’s still refreshing.